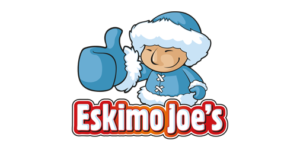 Eskimo Joes launches the first Sugar Free and Diabetic Friendly Slush in South Africa. We are excited to announce that our Blue Raspberry No sugar flavour has been endorsed by the Diabetes South Africa Association, last week. Global demand for healthier options has prompted us to develop a sugar free slush. So keep a look out for the Eskimo Joe Brand which you can already find at selected outlets throughout the Country. Free of Allergens, Gluten, GMO and Lactose. What sweetener are they using? Good Morning Guy, we use Sucralose as our sweetener. Morning Julia, there are many outlets already stocking no sugar. What area in Jhb do you live in? I am in Sandton, but willing to drive ? I am based in Randburg, Johannesburg, kindly advise of nearby stockists please? Hi Julia, there are unfortunately no sites in the Randburg area. I’d like to suggest you send me a name of your favourite Spar or outlet you would like to see Eskimo Joe’s slush No Sugar stocked in and I will contact them with the request. How many carbs per serving. Hi Lorraine, glyceamic carbs are less 0,5g / 100ml. Hi Julia, it seems there are no current sites in the Randburg area. However I would like to suggest providing me with your favourite Spar or outlet, I will contact them and suggest they stock No Sugar. Hi there, any outlets in JHB South yet?? Hi there Bronwyn, thanks for the enquiry – we will get back to you this afternoon with the outlets in your area stocking Eskimo Joe’s No Sugar Slush. Spar Riverview in Vanderbiljpark stocks Eskimo Joes no sugar slush.